Part of the experience of visiting Virginia’s Blue Ridge is getting a sense of place. 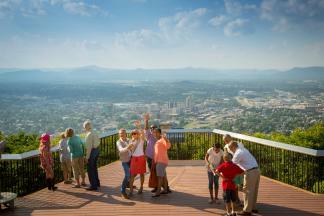 Our most iconic landmark is the Roanoke Star atop Mill Mountain, and Mill Mountain has quite a rich history. 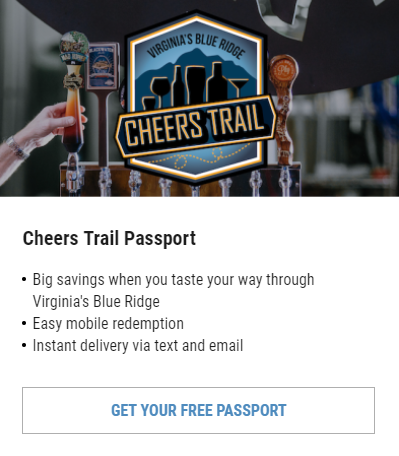 Stuff these bits of trivia away for a round of Jeopardy or pull them out on your next visit to Roanoke to impress your travel companions. Either way, we know you’re going to love all that Mill Mountain was and is, and most of all, its Star. According to Paul Chapman in this 2006 article from The Roanoke Times, there was indeed a grist mill at the base of the mountain. Mark Evans received 400 acres that included the mountain by way of land grant from King George II of Britain. Chapman notes that Mark Evans opened the mill in 1740, but the History Museum of Western Virginia has a current exhibit stating Mark’s son Daniel built the gristmill in 1755. In either case, it’s undisputed that the mill was powered by Crystal Spring. Another cool tidbit is that George Washington visited the mill in 1756 and may have stayed the night. Yes, Virginia, there is a reason it’s called Mill Mountain. A higher elevation is a cooler place to be during the summer months, and the views from Mill Mountain were icing on the cake. Why not build a hotel up there? In May 1892, the $10,000 Rockledge Hotel and a $2,000 observatory opened to VIPs of the Norfolk & Western Railway and locally important people, too. Initially, Rockledge was an exciting opportunity, however, getting to the hotel by carriage on a 10% grade proved to be more arduous a journey than most were willing to make, especially for a destination that was not as luxurious as the Hotel Roanoke adjacent to the train depot. Rockledge Hotel closed in 1894, but this photo from 1895 shows just how impressive the view would have been from this mountain lodge. Rockledge was rented and refurbished in the early 1900s to welcome guests arriving by Mill Mountain Incline for overnight stays and dining. Check out this cool photo from 1910, this postcard from Emma in Roanoke to Bertha in Ohio in 1914, and this photo from 1953. Rockledge once again took on new life in 1964 as the original Mill Mountain Theater (Mill Mountain Playhouse), which occupied the building until it was destroyed by fire in October 1976. Mill Mountain Theatre now operates out of Center in the Square in Downtown Roanoke. Why wind your way up the mountain when you could go straight up the side of it? That was the idea behind the Mill Mountain Incline, two sets of rails with two passenger rail cars climbing from the base of Mill Mountain to the Observatory at the summit, where chicken and waffles awaited visitors at Rockledge Inn, per this 1910 handbill. 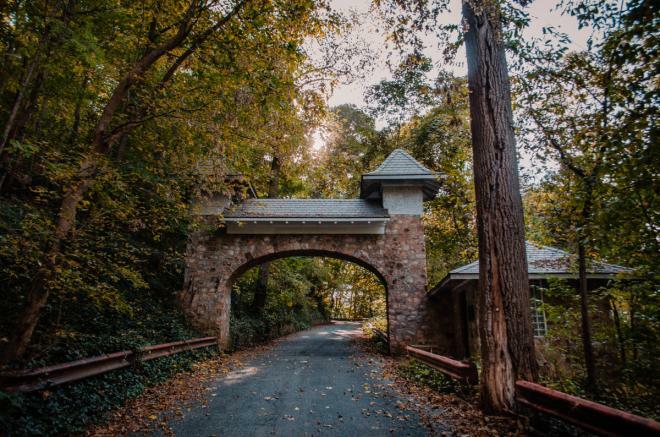 Mill Mountain changed ownership a few times, but one of the more important exchanges led to a revamp of the carriage road to a “loop-the-loop” toll road (Prospect Road) by brothers John and William Henritze in the 1920s. Ease of access to the summit was of supreme importance, and the road delivered just that for motorists and pedestrians alike at a cost of 25 cents per car and 15 cents per visitor on foot. 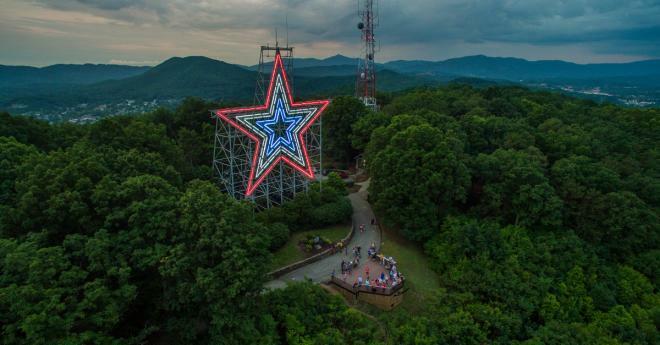 “The Roanoke Star” is interchangeable with “The Mill Mountain Star,” and whichever you want to call it, it dates to 1949 when it was commissioned to be a $28,000 Christmas decoration. Now that’s one impressive (and expensive) star atop the trees! Three nested stars made of 2,000 feet of neon tubing comprise the Roanoke Star, which is typically illuminated white. There have been occasions, however, when the star’s color has changed in response to tragedy or as a show of patriotism. In September 2001, the star’s three stars were transitioned to red, white, and blue in honor of the victims of the terrorist attacks on September 11, 2001. In April 2007, the star shone bright white as a beacon of hope after the mass shooting at Virginia Tech. Check out the live view from the StarCam. In the 60s and 70s, plans and work began to help turn Mill Mountain into the public park area its known as today, with decades of development in creating trails, a wildflower garden, and a spur road that connects the mountain to the Blue Ridge Parkway. 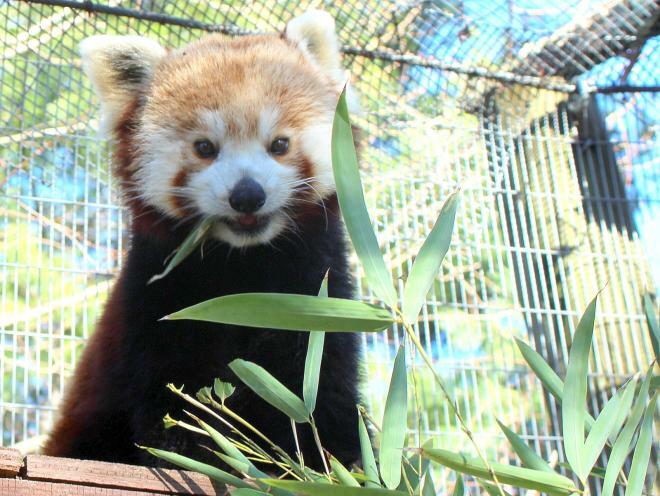 Visitors to Mill Mountain today will not only experience the Roanoke Star, but also the Discovery Center, Mill Mountain Zoo, and an outdoor lovers’ paradise with 10 miles of multi-use trails for hiking and mountain biking. 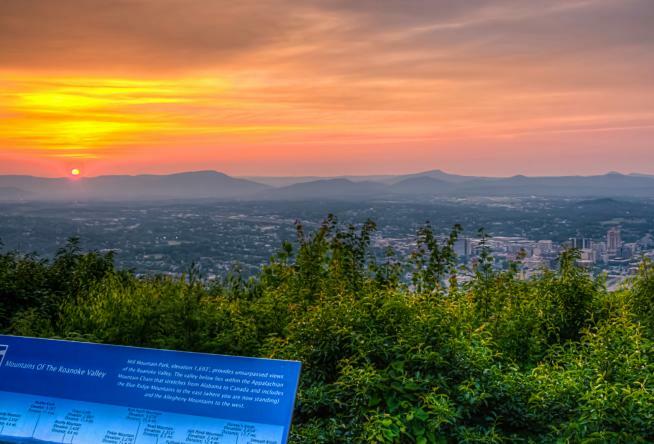 After all, Roanoke is one of the only cities in the country with a mountain within its limits; take advantage and love The Star City for all its worth. For more information on the history of Mill Mountain, visit the History Museum of Western Virginia and Virginia&apos;s Blue Ridge Visitor Center to peruse a temporary exhibit with a great deal of information. We give thanks to resources like Play Roanoke, The Roanoker Magazine, The Roanoke Times, and the Historical Society of Western Virginia for sharing a wealth of knowledge about our natural treasure, Mill Mountain.